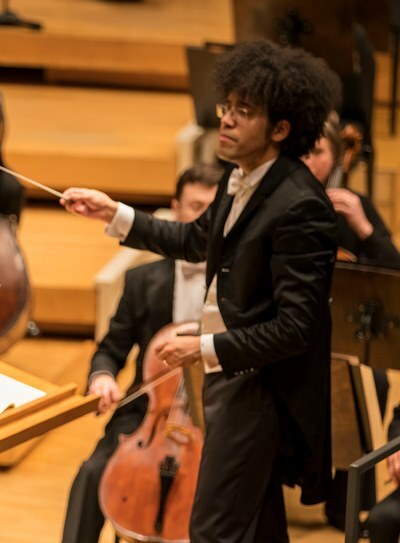 Review: Chicago Symphony Orchestra conducted by Rafael Payare; Keith Buncke, bassoon. Repeats Jan. 20. 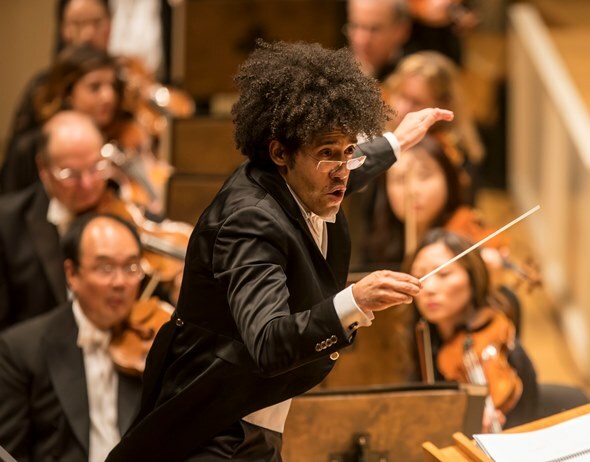 Mark the name of 37-year-old Venezuelan conductor Rafael Payare, who made his subscription debut with the Chicago Symphony Orchestra on Jan. 18. My guess is that few in the audience had heard of him, that no one who was there will forget him, and that he will soon be back. This was not the first time the lanky, bushy-haired Payare had conducted the CSO. He appeared with the orchestra at the Ravinia Festival a couple of summers ago. I didn’t catch him then, but I’ve heard him now – and I would go right back, right now, to savor the same program again. This emerging maestro is special. Maestro, indeed. Payare, a product of the same rigorous El Sistema music program in Venezuela that delivered up Gustavo Dudamel (who also soon turns 37), shows not just solid training but a natural musical genius that sets him apart from many a young conductor on the circuit today. I went to this concert with an eye to its centerpiece, Bartók’s virtuosic Concerto for Orchestra. And, oh, by the way, the program would open with the ever-popular Symphonic Dances from “West Side Story,” a tribute to the Leonard Bernstein centenary. I did not expect to be dazzled, absolutely won over, by the conducting of a series of good tunes. A few minutes into the suite, however, and I was hanging on Payare’s crisp rhythms, clearly delineated voice-leading and lyric sensibility. My quip about a series of good tunes notwithstanding, the “West Side Story” concert suite is sophisticated stuff that bears Bernstein’s approval but reflects the handicraft of Sid Ramin and Irwin Costal, the same team that did the orchestrations for the 1961 film version of the hit musical. The CSO’s sound was burnished, warm, energized. The wit, depth and sheer bravura that Payare drew forth from this extract of perhaps the quintessential American musical put me in mind of such modern European masterpieces as Janáček’s Sinfonietta and, well, Bartók’s Concerto for Orchestra. To contemplate Bartók’s brilliant showcase for orchestra in the Chicago Symphony’s home is to invoke names to conjure with: Fritz Reiner, Georg Solti, Pierre Boulez. How was it Haydn framed his admiration for Mozart – “as an honest man before God”? Well, I might dial that back to “as a serious guy who reveres the aforementioned conductors,” I was thrilled by Payare’s Bartók. I had the same impression in the Concerto for Orchestra that I had with the Bernstein: Payare knew the piece cold. He had its inner workings in his fingertips. No broad-brush painting here, no sliding from peak to peak, or going for the big effects and glossing the life-giving intricacies. This was very smart musical leadership, as exacting as it was stylish and imaginative and daring. 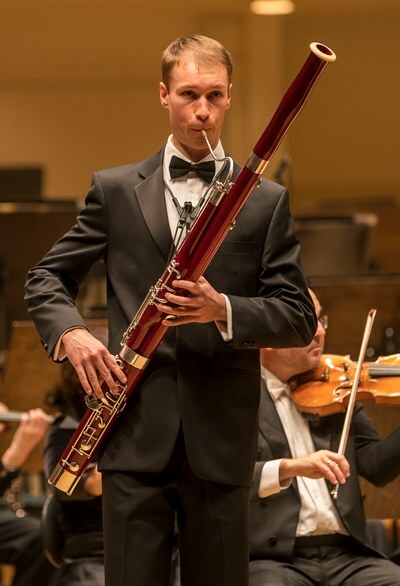 Between these 20th-century B’s came one of the Chicago Symphony’s own – principal bassoon Keith Buncke, as soloist for the teenage Mozart’s Bassoon Concerto in B-flat. It’s easy to see how Buncke’s fluent playing might have captured CSO music director Riccardo Muti, whose whole approach to music derives from opera. Buncke is an innately lyrical musician whose playing is bathed in a kind of intimate radiance. Such was the essence of his buoyant and eloquent Mozart concerto. Especially fetching was the bassoonist’s caressing turn through the work’s broad slow movement, which might pass as a study piece for the Countess’ aria “Porgi amor” from the mature Mozart’s opera “The Marriage of Figaro.” Were Buncke a singer, he could scarcely have brought greater tenderness or wistfulness to music that lacked only words to be an aria. And Payare, who is beginning to make a name for himself in the opera house, conducted a chamber-scaled version of the CSO with the elegance and grace of one who listens for breath and line. He supported Buncke expertly and sensitively. The little band of CSO musicians, too, showed how they can dazzle even on an intimate scale.